Danbury, Connecticut: PF Collier, 1985. Book. Very Good. Faux Leather. Reprint. 8vo. Upper edge of spine bumped.. Former library copy, with card envelope on endpaper, shelf tag on spine. . Front hinge cracked. Light wear. dark green faux leather cloth, gilt intact. Text clean and bright, no markings. Pebbled ochre endpapers. Part of the Harvard Classics series. Selected works, including Edward the Second, Hamlet, King Lear, MacBeth and The Tempest. Brief introductory note for each play. .
NY: Viking, 1961. Book. Good. Cloth. 8vo - 8.25 in tall. . Brownish tape glue on front and rear endpapers. Slanted spine. Cover starting to separate from spine. Text clean, no writing or markings. This is an 11th printing of the 1958 Compass Books edition; part of Viking's Portable Library series. Both jacket and cloth cover have a sketch of a standing man, and seated wife and son watching an overloaded Okie automobile pass by in a barren, hilly landscape. Artist uncredited. Mylar protector. $6 orig price on jacket flap..
Boston: Mariner (Houghton Mifflin), 2004. Book. Near Fine. Trade Paperback. 359 pp. Close to new, no markings, spine uncreased, lightly thumbed. Haunting photo of a somber McCullers on front cover. 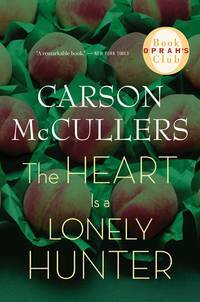 Her first novel, set in a small town in the South, earned McCullers wide acclaim for her understanding of racism and isolation. Size: 8vo -- 8.25 in Tall. Garden City , N.Y: Doubleday, Doran, 1938. Book. Good. Cloth. First Thus.. 432 pp in dark purple cloth. Stated first edition produced for Literary Guild of America. Loose, joint split at front and back, but covers still attached. Spine heavily sunned. Previous owner's attractive bookplate pasted on front end paper. Text clean. Small rubgbed spot on front lower right corner. A hodge podge of tangled romantic story lines, some based on Huxley's acquaintances, others on historical personages such as Baudelaire. Size: 8mo -- 8.25 in..
NY: P.F. Collier, 1986. Ex-Library. Good. Leatherette. 61st Printing.. 463 pp. Ex-library copy, with card envelope. Hinge cracked at title page. Else little wear. "Discard" stamping, no markings in text. Part of the Harvard Classics series, "Deluxe edition" on sprine with black leather-like coverng and bright gilt titling. Five plays: Edward the Second by Marlowe; Shakespeare plays are Macbeth, the Tempest, King Lear and Hamlet. With introduction and notes, Size: 8vo -- 8.5 In. Avon, Connecticut: Heritage Press, 1972. Book. Illus. by Wilson, Edward W.. Near Fine. Cloth with Paper Pastedown. Reprint.. 377 pp. tan cloth, with paper gray and white sketch on both boards showing an Indian brave standing by a forest brook. Copyright date is 1932 but Google bibliography of Heritage Press editions indicates this edition came out in 1972. Introduction of Edward Everett Hale, grandson of his namesake, author EEH. No jacket, housed in tan cardboard slip case with slight darkening of edges near the opening. Sandglass leaflet No. IV:37 from the publisher laid in. Text clean, no markings or notes. 28 illustrations. Cooper's famous story of Leatherstocking in his prime. Gilt titling still bright on a spine field of forest green. Designed by Dr. Will Ransom. Size: 4to -- 10 in High. Boston: Houghton Mifflin, 1899. Book. Fair. Faux Leatherette. 650 pp. Maroon cloth with gilt border on front board. Most of spine cloth missing beneath title and remaining spine cloth sunned. Front and back boards still attractive, with gilt lyre design intact. Binding strong. Gift inscription "To Virginia" on front endpaper. Text clean. Includes index of first lines and index of poem titles. Frontispiece of Whittier portrait still has protective tissue. Gilt on top edge. Size: 12m0 -- 6.75 in Tall. NY: Random House, 1954. Book. Good +. Red Cloth. First Printing Stated.. 437 pp. With library card on rear paper, and a few library stampings. Lightly read, from USAF base (McCoy Field -- now part of Orlando Fl. airport). Square, firm binding, light bumping of corners. A few smudge marks on endpapers. Text clean. Quilt-like geometric pattern stamped on front cover. A few pages have diagonal creasing. This allegorical novel imagines a day in World War 1 in which French soldiers and their German counterparts simply refuse to fight. The story, initially panned, has gained more critical approval over the decades. Size: 8vo -- 8.5 In. By Dana, Richard Henry Jr.
NY: Heritage Press, 1947. Book. Illus. by Mueller, Hans Alexander.. Very Good +. Decorative Cloth. Reprint.. 346 pp. Illustration of cityscape and harbor printed on beige cloth. Two-color or illustrations throughout text. Detailed introduction and commentary on Dana's life by William McFee, plus author's preface. Text clean. Endpapers lightlty toned. Lightly rubbed corners. Slipcase missing. Size: 4to -- 10.5 In. NY: Books Inc, 1935. Book. Very Good. Cloth. Cleartype Edition.. 521 pp. Two Dickens novels in one binding, Volume VIII of Books Inc. Cleartype set. Front joint partly split, but binding still firm. Light foxing on endpapers. Blacked-out address labels pasted on inside cover and title page. Text still bright. Frontispiece of young man and lady friend on a park bench. Text clean. Spine edges and corners moderately rubbed. Medallion profile of Dickens embossed into brown cloth of front cover. Size: 12mo 7 in Tall. Chicago: W. B. Conkey Book. Fair. Cloth. 349 pp. in brown cloth with faded gilt titling on spine. Dimed-sized rubbed spot and moderate scuffing along right side of front cover. Cover detached from spine, but rear joint still holding. Title pages laid in Moderate toning to text. No publication date listed. Size: 8vo -- 7.5 In Tall. By Maugham, Somerset; Weidman, Jerome, Ed. Garden City NY: Garden City Publishing Co., 1943. Book. Very Good. Cloth. 489 pp. Red cloth, floral patter on spine, rubbing at top and foot of spine. Previous owner's bookplate on inside cover. Text clean. A 15-pp introduction by the editor. Contents include "Cakes and Ale" "The Circle" short stories, "Rain," "The Human Element," "Mr. Know-All," and "A Friend in Need, plus 4 essays and 3 travel sketches. Size: 8vo -- 8 in Tall. NY: Princeton/Viking, 1974. Book. Good. Trade Paperback. 6th Printing of 1969 Edition.. Subtitled: Text, Criticism and Notes. A scholarsly edition edited by Robert Scholes and A. Walton Litz. Some dampness staining on first 10 pages, rest of text is clean. No markings or notes. Part of the Viking Critical Library Series. Includes 30 pages of background, 28 pp. of 11 critiques. Background sections include material on a chronology, facsimile, composition, revision of the stories, epiphanies and Epiclet; evidence of the letters..
By Ryder, Arthur W., Trans. Chicago: University of Chicago Press Book. Very Good. Art Boards. 2nd Printing.. 151pp. Sturdy binding, but jacket is in two pieces, laid in, spine portion missing. Striking dense diamond art pattern on front and back covers. Previous owner's first name on front red endpaper. A charming collection of two dozen simple Sanskrit fables, mostly told by animals, dating back to at least 200 B.C. Long popular throughout South Asia and the East. Size: 8vo -- 8 in Tall. NY: Hurst & Co. Book. Good. Pictorial Boards. Sixth Edition.. 357 pp. 6 color lithographs by an unidentified artist, including frontispiece. Spine has several spots rubbed down to board and part of gilt title is missing, but image of cricket player still visible. Front cover in tan and blue has design of two schoolboyard in blue uniforms, one sitting on a bench with a cricket bat; his companion seated on the ground. Rear cover darkened. Publication date not stated; probably circa 1910 (Hurst & Co. produced many different editions of the book.) Includes Preface to 6th edition, in which the author defends his right to be preachy. Tale of an English lad who goes off to boarding school. and has various adventures, including fights with bullies, cricket rivalries and pranks played on professors. An influential juvenile novel that established a role model for youthful masculinity, emphasizing sportsmanship and self-defense. Basis for later films. Includes Part 1 and Part 2, 9 chapters in each. No markings in text. (FYI, a good reference for browsing the dozens of reprints of this book, which lacked a copyright, can be found at the Henry Artemus web site). Size: 8vo -- 8.25 in..
NY: Barnes & Noble, 1993. Book. As New. Cloth & Boards. Reprint -- 10th Printing.. 479 pp. Handsome Barnes & Noble reprint of the classic, in as-new, gift-quality condition. No markings. The full text is here, but there are no illustrations or editor's notes. Size: 8vo --8.5 In..
NY: P.F. Collier & Son, 1960. Book. Very Good. Faux Leatherette. 61st Printing.. 405 pp. Slightly bumped, spine slant. Dark olive boards. Colored endpapers. Gilt stamping, with "Veritas" shield on front cover. Labeled a "deluxe edition" of "The Harvard Classics." 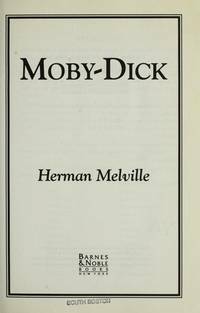 Reprint of a Houghton Mifflin edition. Illustration of author in front. Binding firm. Size: 8vo - over 7¾" - 9¾" tall. NY: Charles Scribner's Sons, 1948. Book. Very Good. Cloth. Early Printing.. 273 pp. plus glossary in clean medium gray cloth with black and red decorative bell band across mid-section. Dust jacket missing 1 inch chip on rear panel, has white lily design against blackand white floral background. Small gift inscription in tiny ink letters, dated Christmas 1948 on front endpaper. Book has 1948 date matching on title and copyright pages but no "A" on copyright page. $3.00 original retail price on flap. Small Gellert's Bookstore (42nd St., NYC) label pasted on rear endpaper. Light foxed bands on endpapers. Text clean. Memorable story of a Zulu parson searching for his son in Johannesburg and finding him imprisoned for the murder of an Engllish plantation owner. The book was published just as apartheid was being institutionalized in South Africa. Size: 8vo - 8.5 In..
London: J. M Dent, 1897. Book. Fair. Flexible Leather. 6th Edition.. 127 pp . Binding still firm. Main flaw is heavy rubbing of dark red leathera long 2 inch strip of front cover's upper edge, exposing the cardboard. Less severe rubbing on top and bottom edges. Gilt titling on spine intact. Frontispiece of Shakespeare, taken from the engraving by Martin Droeshout, vellum protector still in place. Binding still strong. Coats of arms on front cover and front and rear endpapers. Includes glossary and notes. A pocket- sized edition for taking to the theater. Titled as "Shakespeare's Comedy of The Tempest." Size: 16mo-- 5.25 in Tall. Berkeley, Calif.: University of California Press, 2010. Book. Illus. by Williams, True; Mullen, Edward F., Et al.. Very Good +. Trade Paper. First Thus.. 853 pp., 542 pp. of story text; about 300 pp. of scholarly reference notes, appendices and bibliography. B&W illustrations on most pages. General editors: Harriet Elinor Smith and Edgar Marquess Branch. First printing of the paperback edition of the scholarly text produced by the Mark Twain Project of the Bancroft Library. Light wear, soil on spine edges. Light thumbing. No markings. Corner crease to rear cover. Size: 8vo -- 8.25 in Tall.